Creating a sanctuary at home means having the items you need right where you need them, and accent tables like the Amish Contemporary Chairside Table with Drawer are about adding convenience while adding to your decor. 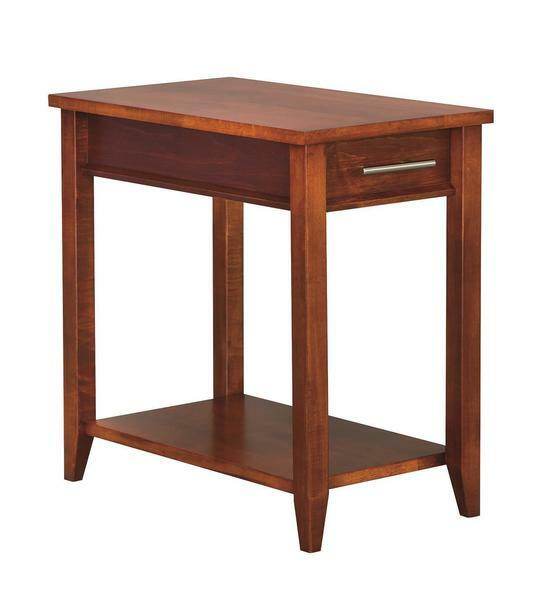 The Amish Contemporary Chairside Table with Drawer is slender and clean lined, with tapered legs, one handy drawer, and one lower shelf. This table is Amish made with solid wood. You have several to choose from and the wood choice will determine the final look. If you have any questions, please email or call us. We thank you for shopping DutchCrafters.